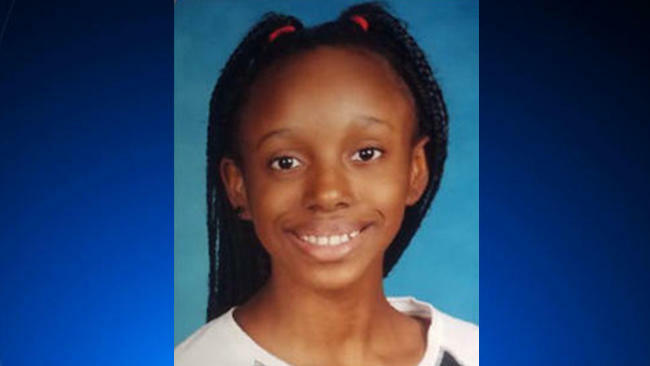 KEANSBURG, N.J. — Police are searching for clues in the death of an 11-year-old New Jersey girl whose body was found near her home a day after she was reported missing, reports CBS New York. Abbiegail Smith's mother reported her missing Wednesday evening, about an hour after police say she was last seen alive. On Thursday morning police found her body behind the apartment building, according to Monmouth County Prosecutor Christopher Gramiccioni. Prosecutors have ruled her death a homicide. "We were really hopeful that we would find her," Gramiccioni said. "It's a punch in the gut for all of us in this community, especially with law enforcement." Residents of the apartment complex told CBS New York they often saw the girl playing outside, but never too far from her apartment. "She'd get tired and bored and run up and down the entire stairs," neighbor Glen Argujil said. Investigators were seen Thursday combing the site for clues and using bloodhounds in their search. Police say no one in Abbiegail's family is suspected in the crime, but her killer may have been someone she knew. Police say the cause of death has not yet been determined by a medical examiner.